See-Dub: Texas game 6: Okie State. 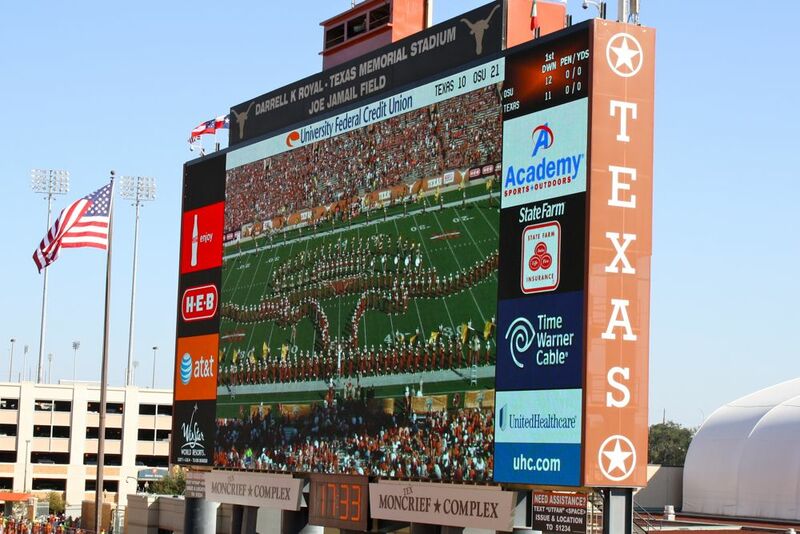 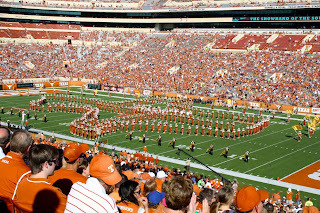 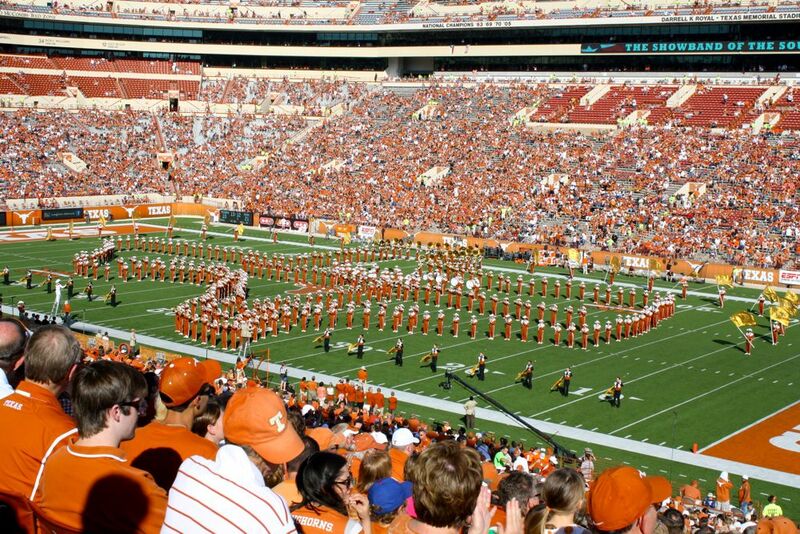 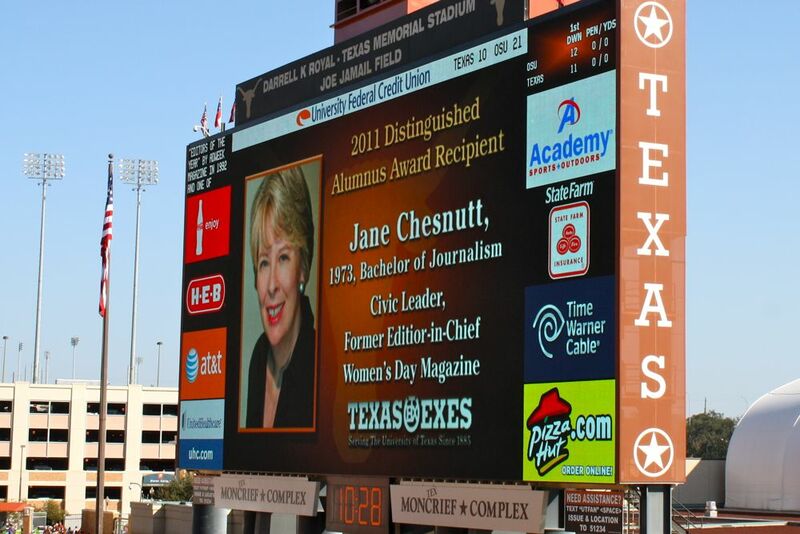 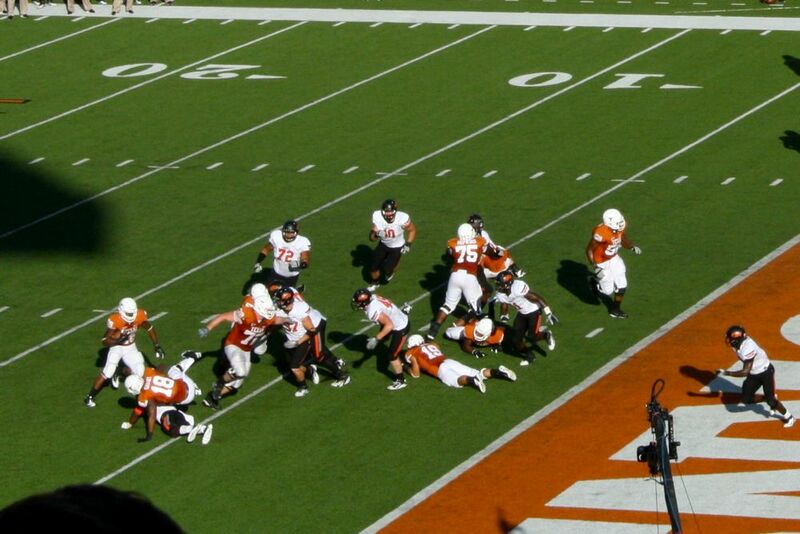 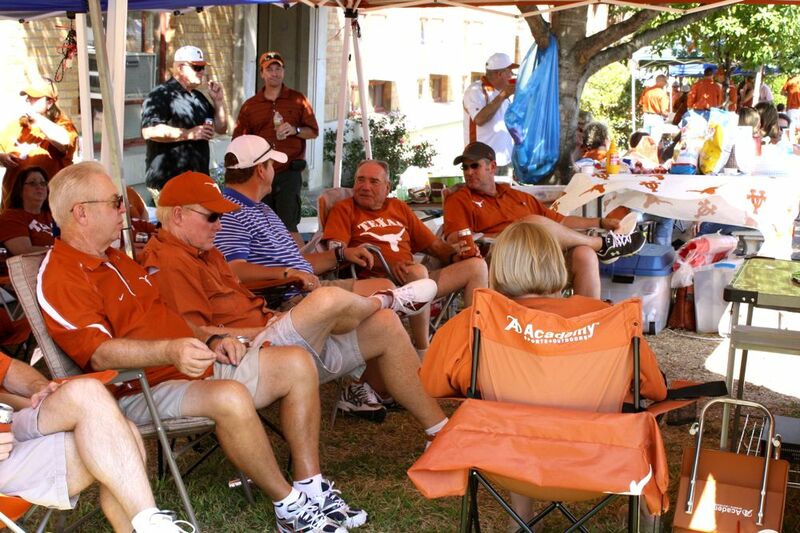 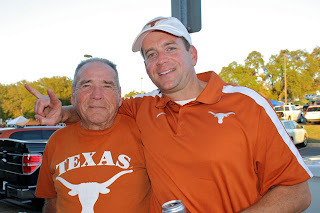 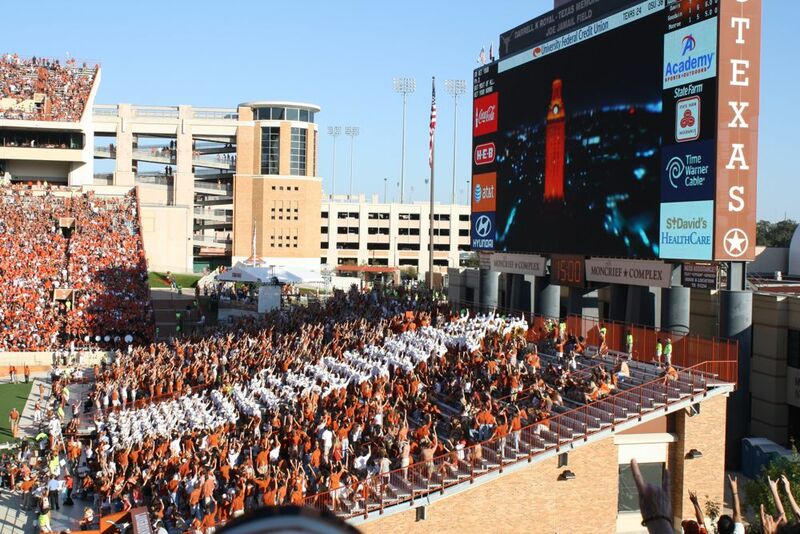 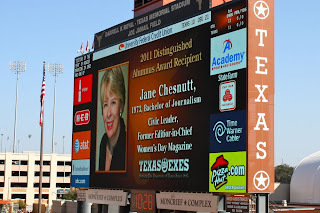 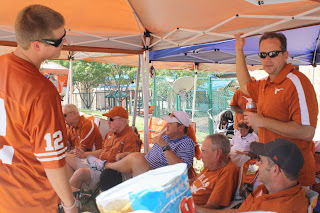 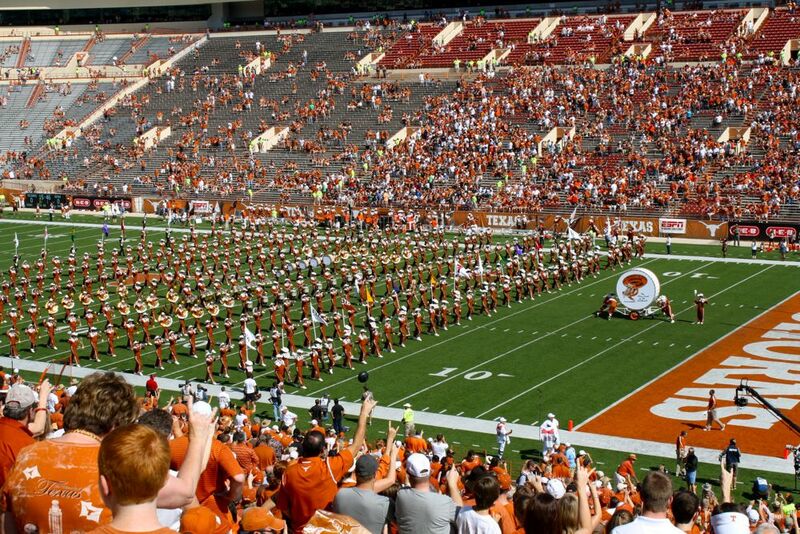 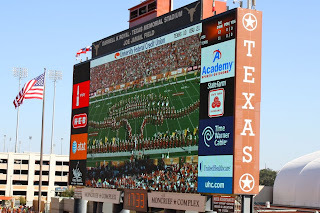 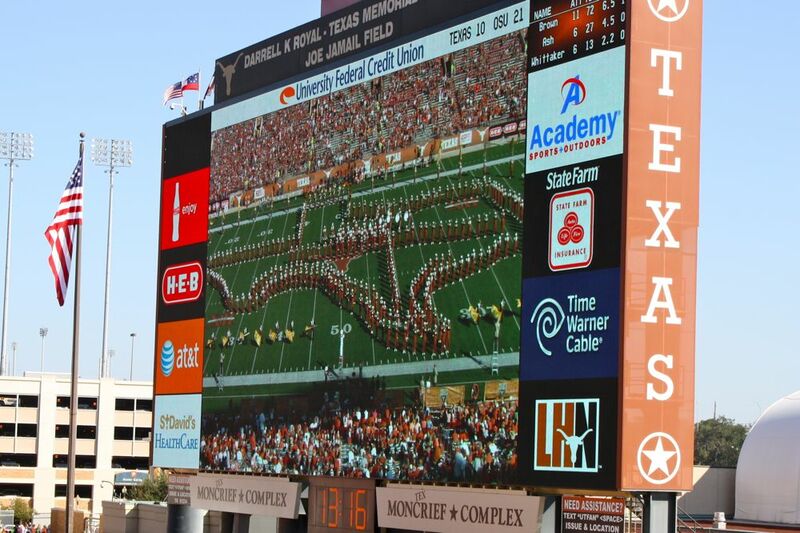 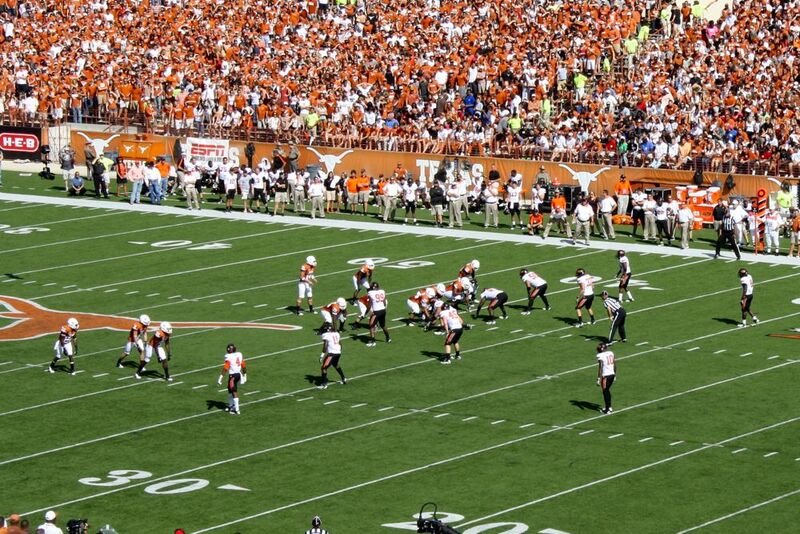 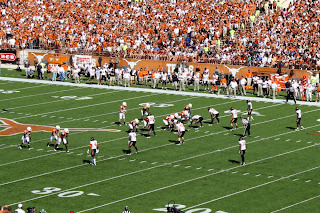 A week after the Texas-ou debacle, we were back in Austin to face Oklahoma State. 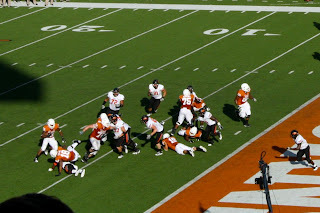 The Cowboys are plowing through opponents this year, aiming for a title, and our "little" (read: "young") team was not going to get in their way. 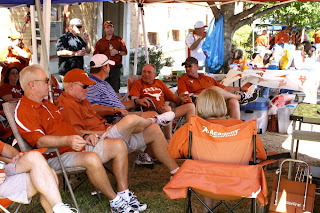 Still, we had a great tailgate (brisket and all the trimmings, plus a special guest) and enjoyed this sunny October afternoon. 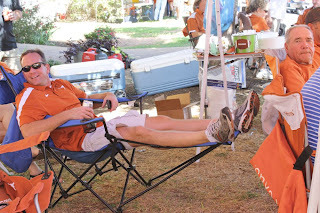 It was "Chamber of Commerce weather," that's for sure! Pretty awesome to have a friend of a friend cater the tailgate! 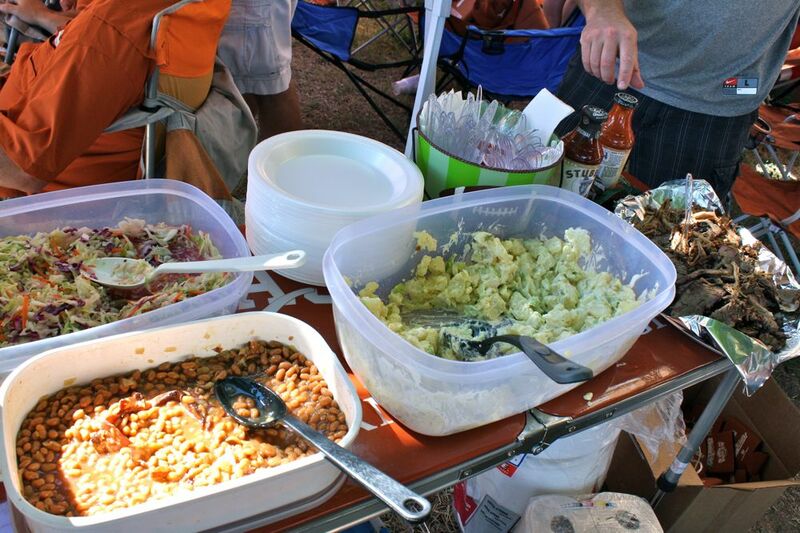 No fuss, no muss AND great food. 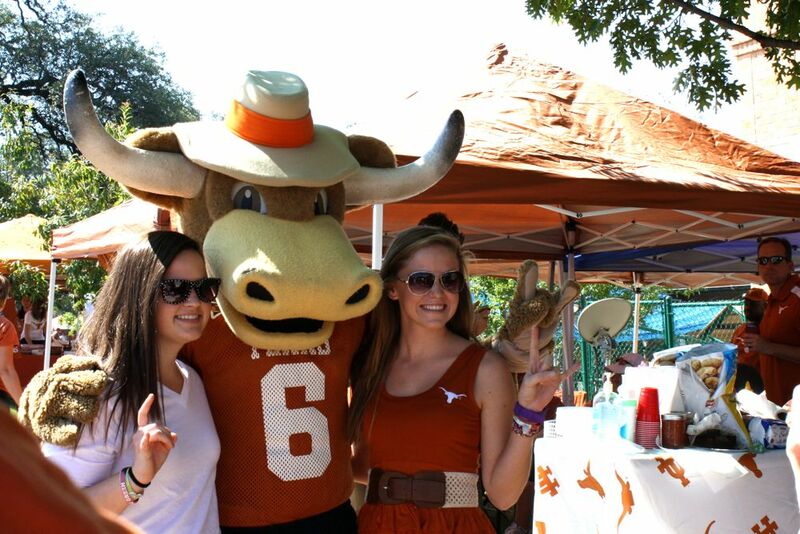 What a nice surprise to have Hook 'Em pay us a visit! 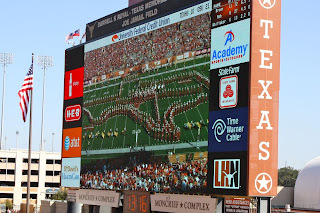 the name of the actual longhorn. 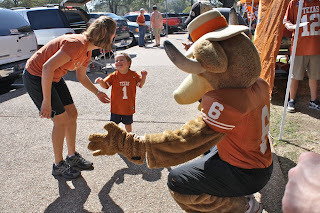 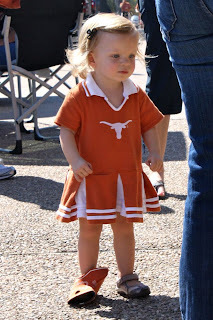 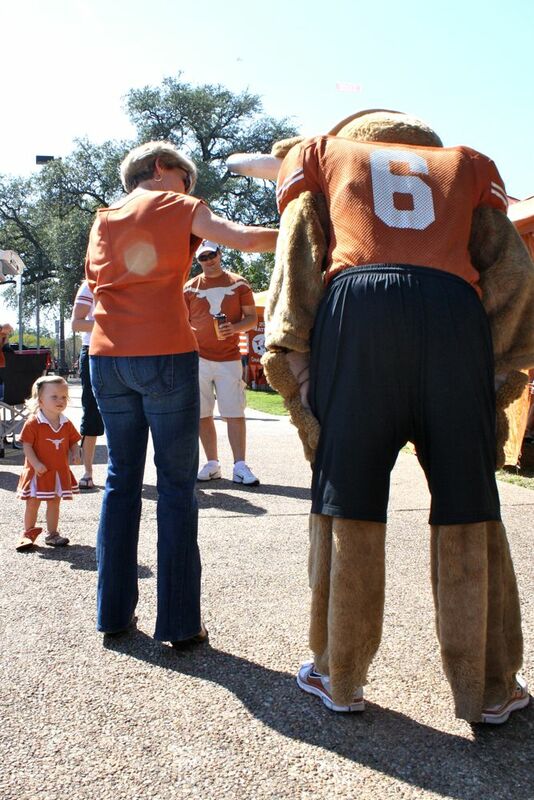 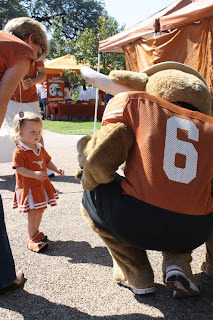 By the way, Hook 'Em is awesome with little kids! 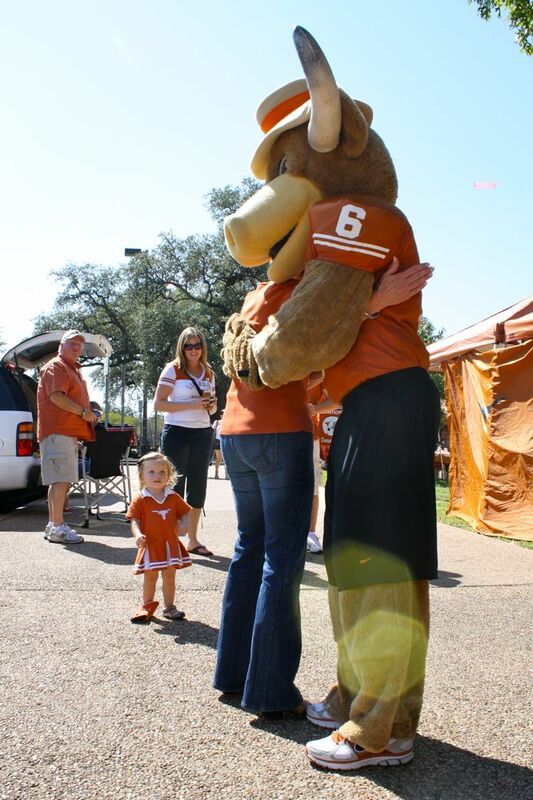 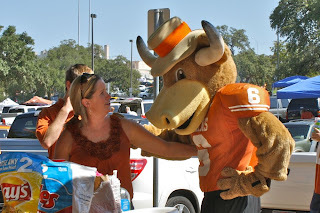 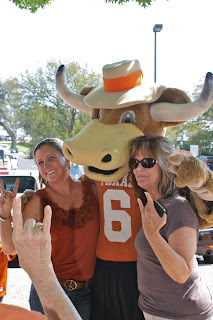 Hook 'Em had mom give him a hug first. warm up to the big furry guy. And yes, she did give him a hug! 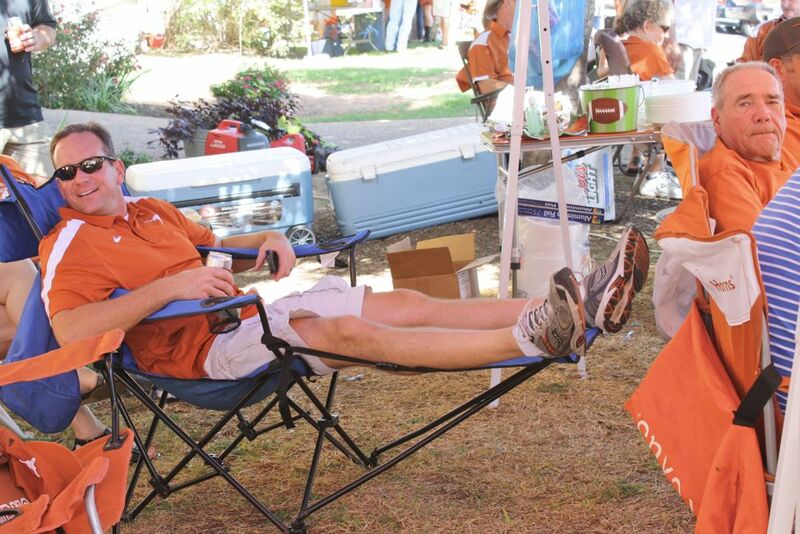 and T made the most of the fancy chair. 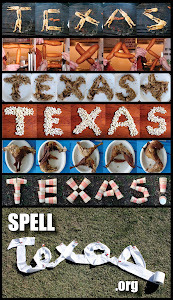 If you're going to misspell a word, make sure it's not EDITOR. 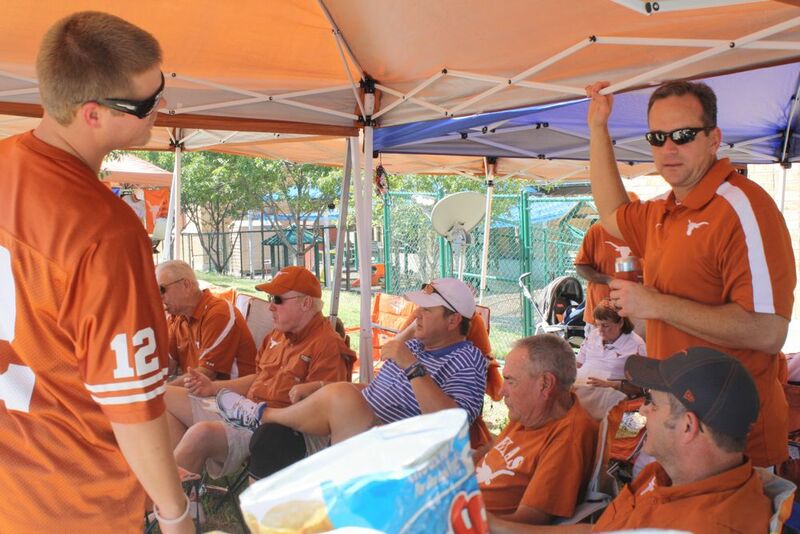 comes on, EVERYONE gets into it!